Intel new Atom family processors have gained much traction in both UMPC and MID markets as well as embedded world. Not long ago after the recent launch of Intel Atom single core processor, now there seems to be a plan for the giant chip maker to release a Duo-core version Atom processor in next quarter. 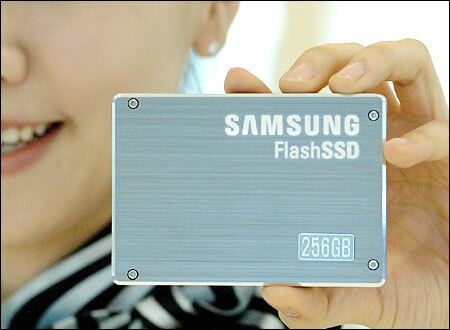 The leading company in advanced memory technology, Samsung has announced that it has developed the world’s fastest, 2.5-inch, 256GB (multi-level cell) MLC-based SSD (solid state drive) using SATA II interface, which is only 9.5mm thick and 2.5-inches long. 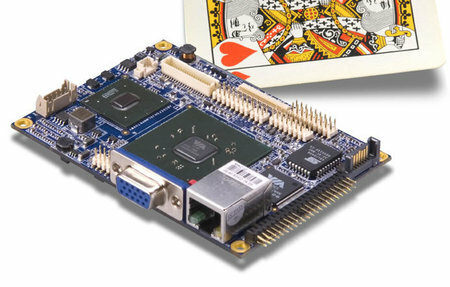 VIA Technologies has just unveiled a new Mini-ITX based PC platform for embedded market. Named as EPIA M700, it is powered by C7 processor, running up to 1.5GHz and is coupled with VX800 chipset that is best suitable for both Point of Sale and Digital signage segment applications. Logitech has announced the launch of its newest V450 Nano cordless laser mouse for notebooks, featuring Logitech’s exclusive Plug-and-Forget Nano-receiver which is so small in size that once you plug it into your notebook, you can literally forget about it. HD Communication has just unveiled an affordable way to provide long distance Wi-Fi coverage with two special bridge devices that stay far apart. Named as HD26200, the bridges are equipped with a pair of Ubiquiti network radios that are capable of transmitting and receiving network signals up to 5 miles by utilizing only conventional 802.11b/g wireless technology. The only condition is, both devices have to be in Line of Sight or else the coverage will be dropped tremendously. You may have heard of something similar before but this is so far one of the cheapest ways as claimed by the company. Guess what, the setup will be retailed at only $318 which is far more cheaper as compared to other competitors’ products. The leading company providing a range of KVM (Keyboard, Video, Mouse) and KVMP (Peripheral), connectivity, networking, A/V digital home, mobility and desktop solutions, IOGEAR has launched a new palm-sized device to share USB peripherals across a network, named as USB Net ShareStation. Nowadays board vendors emphasized much on high thermal efficient platform. Besides the hottest Intel Atom processor that was just launched recently, its competitor, VIA Technologies has just unveiled a highly thermal efficient X86 based architecture targeted for embedded world. 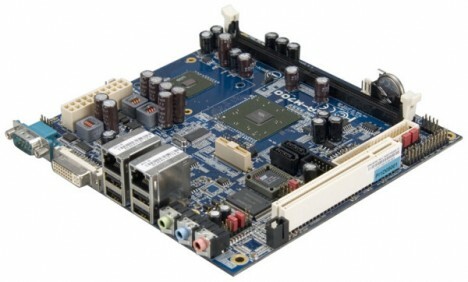 Named as EPIA PX5000EG, it is one of the smallest form factor, Pico-ITX designed board that stands a great advantage in terms of performance per watt as compared to its competitors’ products. The silicon manufacturer claimed that the maximum TDP (Thermal Design Power) of the processor draws less than one watt power suitable for fan-less applications. of hard disk drives and storage solutions, Seagate Technology has announced the launch of its Seagate Showcase storage solutions, the new series of products that extends the storage capacity of your (Digital Video Recorder) DVR and compatible with Motorola’s market leading e-SATA capable HD DVR set-top portfolio.